We offer to you to try your chance in Europe. Bulgaria with dozens of big and small casinos is a preferred destination for those who like the emotions of gambling. 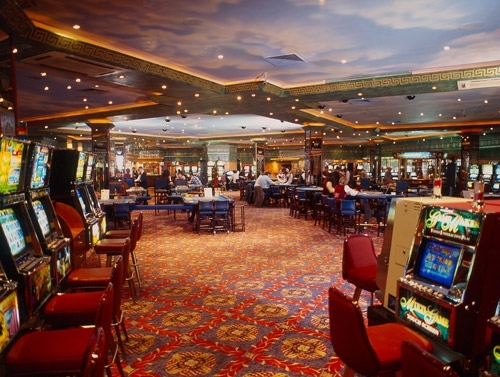 You can play in the best casinos of the country and meet its history and modern life. Day 1: Arrival in Sofia, the capital of Bulgaria. Transfer from airport to downtown hotel 4* . Walking tour to the city center (about 3 hours). You will see St.Sophia church dating back to 5th-6th century of our era, a monument of Bulgarian medieval civilization that gave the current name of the town. Visit the largest cathedral Alexander Nevski with its gilded dome, the rotunda St.George 3th-4th century and the city fortress and you will feel the atmosphere of the city, which history dates over 5000 years ago. Dinner in Indian restaurant. Emotions in International Casino Cub in hotel Balkan. Place your bets and get ready for action on the most luxurious casino floor in Sofia. Try your luck on the blackjack, the roulette, the poker etc. Hours of operation: 24 hours. Overnight. Day 2: Sofia - Breakfast. Time for leisure or casinos. The Casino Rila is awaiting for you with Roulette, Black Jack, Caribbean poker, Slot machines, Five card stud poker. Optional one day excursion to Rila Monastery and the Boyana Church ( 25 euro/pp in summer and 35 euro/pp in winter ). Rila Monastery is one of the most impressive UNESCO world heritage sites in Bulgaria and it is the largest Eastern orthodox monastery in Bulgaria. It is situated 117 km (73 mi) south of the capital Sofia. Founded in the 10th century, the Rila Monastery is regarded as one of Bulgaria's most important cultural, historical and architectural monuments and is a key tourist attraction for both Bulgaria and Southern Europe. The whole complex occupies an area of 8,800 m² and is rectangular in form, centered around the inner yard, where the tower and the main church are situated .Return to Sofia. Visit the Boyana Church, located on the outskirts of Sofia. It is a true masterpiece of the Bulgarian Middle Ages and the avant-garde of the European Renaissance. Its frescoes dates from 1259 year and it was declared by UNESCO a World Cultural Heritage. Dinner in Indian restaurant. Overnight. Day 3: Sofia – Plovdiv - Breakfast. Departure to Plovdiv - the second biggest town in Bulgaria. Distance 150 km , time 2 hours . Plovdiv is one of the oldest cities in Europe. It was founded before Athens, Rome and Constantinople in the time at which was based and the ancient city of Troy. There are artifacts of Thracian civilization. The Thracians were famous in the ancient world for its wines, which were declared as the best. The period during which Plovdiv has been within the Roman Empire was marked by the construction of many large public buildings like an amphitheater (late first and early second century of our era). And nowadays it is used for performances and outdoor concerts. Other major monuments of Roman civilization are the Roman Forum (2nd century BC) and Roman stadium in length of 180 meters and with 30,000 seats (second century of our era). At that time the name of the city was Trimontium, which means "town on three hills." Bulgarian history is presented in the old town of Plovdiv with the big beautiful houses of 18 - 19 centuries. They are evidence of the economic power of the city during this era. At that time Plovdiv compete with Thessaloniki and Istanbul. The walk along the narrow cobbled streets between high walls and overhanging second floors take us back in time. In many of these houses are now occupied exhibition halls, shops and restaurants. Accommodation in Trimontium Hotel 4* in the heart of the city. The casino is situated in the same hotel. The casino is open 7 days a week 24 hours a day. It is situated on an area of 1200 m2 and offers its services through a staff of 180 people and managing stock of international experience. Time for leisure or for emotions in the casino. Day 5: Plovdiv – Sofia Air Port. Breakfast. Depending on the time of the flight free time in Plovdiv or departure in the morning. Transfer to the airport of Sofia ( 150 km , 2 hours). Departure. Supplement for accommodation in single room 92 EUR in hotels 4* and 125 EUR in hotels 5* and 4*..